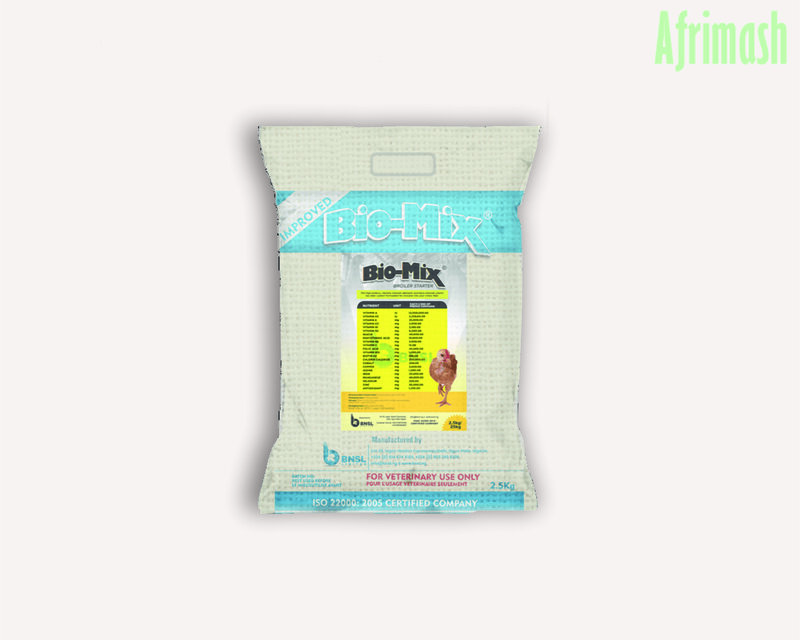 This brand of Bio-Mix is a balanced blend of stabilized and high potency vitamins, minerals and trace elements which is specially formulated for broiler chicks. 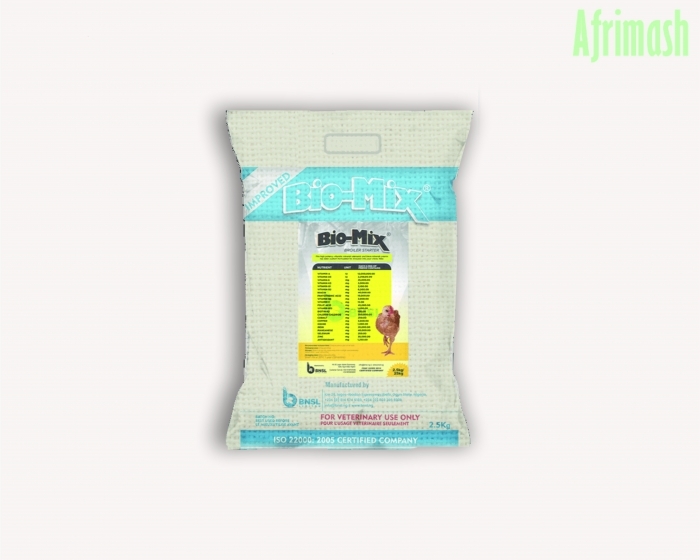 The Bio-Mix range of premixes is the first indigenous micronutrient blend for all classes of poultry which has been widely accepted in the Nigerian Livestock industry. A balanced blend of stabilized and high potency vitamins, minerals and trace elements for broiler chicks. It ensures a good immune system, reduces mortality to about 0.8% and faster weight gain.